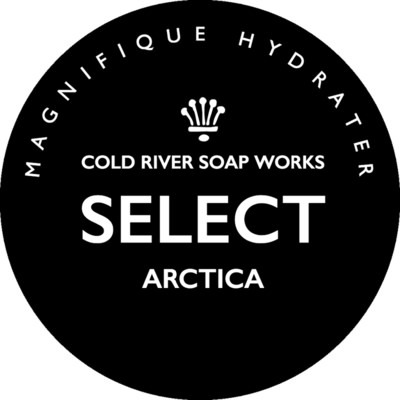 Cold River Soap Works is giving away a ARCTICA Shaving Set to one lucky winner! Included is a Cold River Soap Works ARCTICA SELECT Shaving Soap and matching Moisturizing Aftershave ($39.00 Value). *To enter, head over to our blog , find the post and type your name and email in the comment section below. To increase your chances of winning, ENTER EVERY DAY! Do not worry, only we can see your information. Entries must be received before Midnight EST, Monday 11/6/17. One lucky winner will be drawn at random on Tuesday 11/7/17. Winner will be notified by email. Very Nice, thank you Larry! Thank you for a generous offer Larry. Open for the world at large, or...? I'm in, thanks for the offer! (11-02-2017, 01:42 PM)WegianWarrior Wrote: Open for the world at large, or...? Absolutely, YES! I would not leave my friends from all over the world without a chance to win!!! Thanks for the chance. Hope I win! Remember, to increase your chances of winning, enter daily!